All chameleons are threatened. They are terribly sensitive to pesticides, their habitats are disappearing and their range of predators is increasing to include the likes of domestic cats. For many conservationists and indigenous gardeners the discovery of chameleons is a wonderful indicator of a healthy eco-system. They feed on insects so dead wood is vital in their environment . 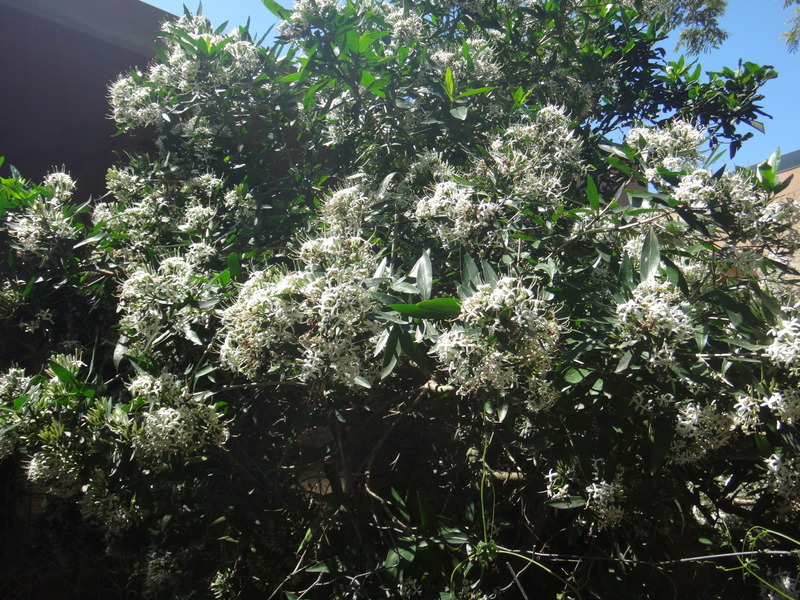 This can be the antithesis of gardening styles that embrace the ‘neat and tidy’ aesthetic. 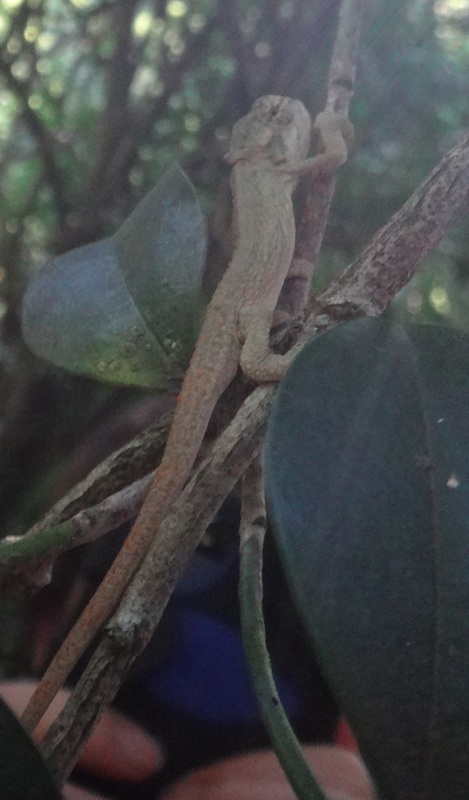 In Durban our Dwarf chameleon (Bradypodian melanocephalum) are especially vulnerable. I have spent many days in our nature reserves and my own conservancy and had not yet seen one until Xmas this year in the garden of our very own Gorgeous Green House! What a spectacular gift and cause for much whooping and jumping up and down with joy. Unfortunately he/she didn’t appreciate our noisy enthusiasm and contrary to popular belief, scurried up the branches of the River indigo at such a pace we were only able to take these rather poor pictures. 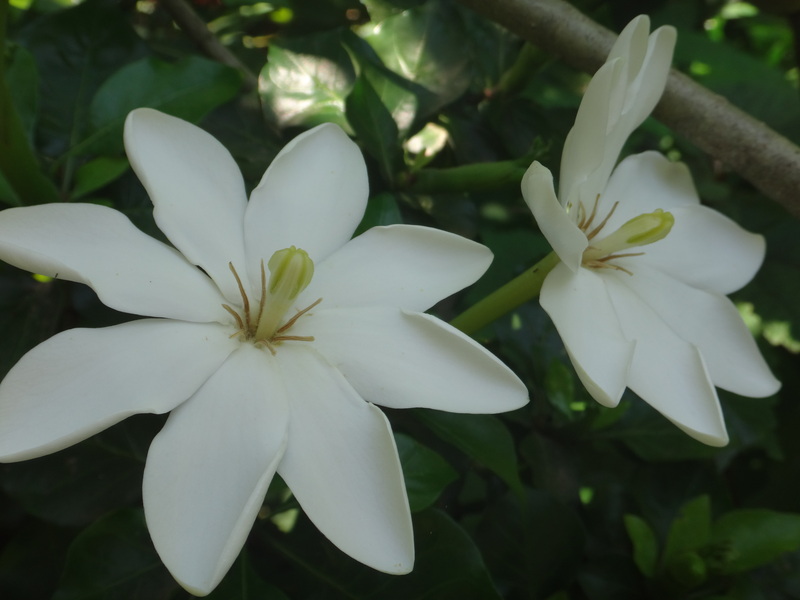 To top off this bounty the Pavetta lanceolata (Brides Bush) and Gardendia thunbergia (Wild Gardenia) are resplendent in profusion of heavily perfumed flowers. What abundance! 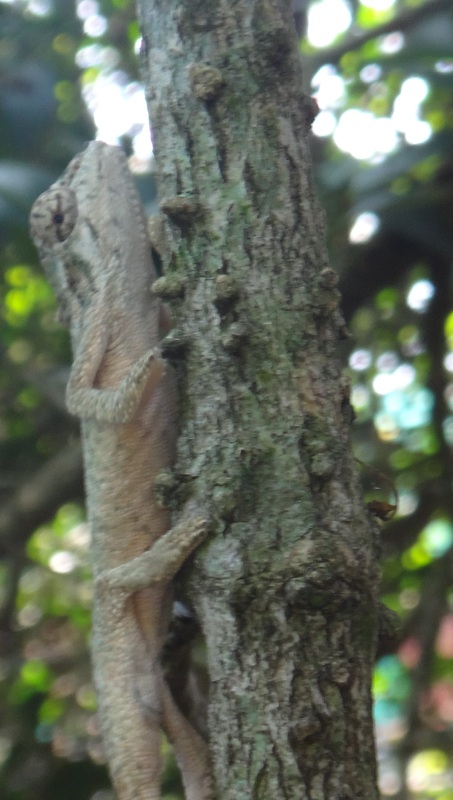 Categories: Indigenous gardening, Inecticides, Reptiles, Uncategorized | Tags: deforestation, Dwarf chameleon (Bradypodian melanocephalum), organic gardening, water pollution | Permalink.